Apple just released iOS 9.3.1 firmware update for iPhone, iPad & iPod. This minor update aims to fixes an issue that caused apps to unresponsive in Safari & other apps in iOS 9.3. So, there are any changes in the Cydia jailbreak situation with this release? We know, most of the idevice iOS 9.3.1, 9.3, 9.2.1 & 9.2 users are waiting for that good news about iOS 9.2, 9.2.1, 9.3 & iOS 9.3.1 jailbreak release for Cydia download their devices. Lets we discuss about the current situation of jailbreak & Cydia status for iPhone, iPad & iPod. iOS 9.3 adds new features to your idevice including – Night Shift, secure Notes, more personalized News, improved Health app, CarPlay updates & new Education features. But, iOS 9.3.1 update is not added any new features only includes bug fixes. However, either iOS 9.3 or 9.3.1 has not given freedom for user to customize their device as they wish. That’s why peoples need to download Cydia for iOS 9.3.1 / 9.3 running devices also. Can I Cydia download for my iOS 9.3 / 9.3.1 running device now? I have to say No. You are unable to get Cydia for iOS 9.3, 9.3.1 and also iOS 9.2, 9.2.1 running iPhone, iPad or iPod at this moment. Because, jailbreak (Cydia download tool) is not available for above mention firmware. Please note : iOS 9.1 is the latest version which can jailbreak & Cydia download for iPhone, iPad & iPod. iOS 9.3.1 is the minor update & only adds the small bug fixes for iOS 9.3. According to the security aspect, there should not be any differences between iOS 9.3 and iOS 9.3.1 versions. That’s mean, iOS 9.3 jailbreak will be compatible with iOS 9.3.1 also. 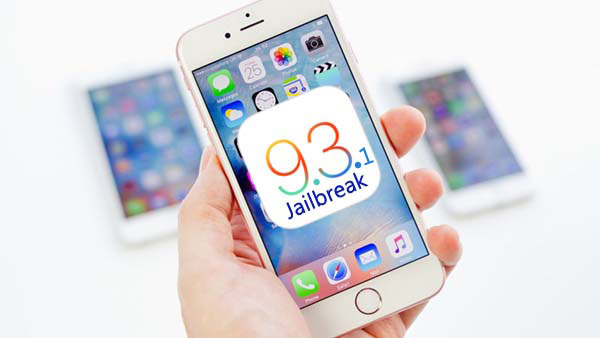 Now we know, iOS 9.3 jailbreak is possible (read bellow how) so, why not possible jailbreak iOS 9.3.1? Wait & see with keep hopes, iOS 9.3.1 jailbreak will be available with Cydia download for your device in near future. The Italian hacker, Luca Tedesco has already jailbroken pre-release of iOS 9.3. He released a video demonstration of iOS 9.3 beta jailbreak as well. Please note : Luca does not release their jailbreak for the public and it is beta version jailbreak. However, now we know the iOS 9.3 jailbreak is possible. Luca has jailbroken iOS 9.2 & 9.2.1 as well. Is there jailbreak releases by the Pangu or TaiG for iOS 9.2, 9.2.1, 9.3 or 9.3.1? Definitely NO. The leading jailbreak teams such as Pangu or TaiG does not release any tool for jailbreak iOS 9.2 – 9.3.1. However, there are so many fake jailbreak tools circulating in the web. DO NOT use those fake tools with your valuable device. You can not install Cydia without real jailbreak tool. Please always check real jailbreak status for Cydia download with cydiainstaller.net. When iOS 9.3 jailbreak release? It is no doubt, Luca Todesco does not release iOS 9.3 – 9.2 jailbreak for the Public. But, he shows all latest iOS versions are jailbreakable. So, we can raise our hopes to get Cydia for iOS 9.3, 9.2.1 & 9.2. Pangu & TaiG teams are working hard to find a better solution. Specially, Pangu team more active with the situation & final solution will be available very soon as we all expected. Keep in touch, situation can be changed in any moment. Please follow us on Twitter, join our Facebook Fan page, add us to your circles on Google+ for further update on Cydia jailbreak. iOS 9.3 jailbreak not public release. When it would be available for ios 9.3? All security experts are working hard to release. Please wait & touch with us..
I’m using iOS 9.3 how I can get Cydia to donlwod in my device ? Can you help me plz? How I can get game hacker as will ? Cydia unable to install iOS 9.3 versions now, Because Jailbreak tool not released for public. Please wait and bookmark us. Why must pay buy from app cydia? Need best free app cydia. Not need to pay for Cydia or jailbreak tool. when is gonna be available for ios 9.3.1? May i ask u if how long or how many days do you think will the users wait? I’m just excited to install the real cydia in my device. Cydia can install with jailbreak tools. What is your iOS version ? Do we have do you actually play an app after the installation please? Hi, I was checking your site to see if there is an update ready for IOS 9.3.1. I will go to Facebook and look for your posts. I have iPad iOS 5.1.1,model mc496zp,without cam device. I want to update to iOS 9.3.1,is’t possible? Other iPad devices can upgrade to iOS 9.3.1. Luca method not released for users. Pangu team also work hard with iOS 9.3.1 jailbreak. Wait & See..
How do I get a user name and password please. Just want to make sure I worded it correctly. Do we actually have to play an app once the installer is installed ? please inform if the jb release . .
Guys how to get Cydia for free? Cydia is free for all users. Do not need to pay for this application. How do u download it? It doesn’t work!! How to get cydia in ios 9.3.1 in iphone 5?? Your iPhone 5 device unable to install Cydia. Please check back later. Bookmark us.. Most of the iOS 9.3.1 users are interesting with Cydia. But unfortunately users cannot install Cydia now. How long Cydia for iOS 9.3.1? I want to cydia ?. But i don’t know how to downlod cydia . Plz tell me . Version with 9.3.1 . Send link my email addess. Plz help me admin. Cydia is alternative application for App Store. You can customize device with Cydia application. Your iOS 9.3.1 version unable to install Cydia application this moment. Because is jailbreak tool is not released for public.